For the best charred salsa verde, you'll want to give it a sear. This is my favorite salsa, hands down, and that's coming from someone who loves salsa. Smoky, spicy, sweet, bright, and complex, this is the one salsa to rule them all. If there were a Mexican restaurant on my desert island, this is the salsa they'd put down on the table before you even ask for it. The fact that it only has four real ingredients, you can make it in 20 minutes, and it requires pretty much no knife work or clean up is just the icing on the cake (or the salsa on the taco, maybe). Salsa verde reaches way back into one of my earliest food memories: sitting with my dad on the back porch of a family friend's house in Cape Cod, my dad shucking the Littleneck clams we'd dug up that afternoon, squeezing a little bit of lime on them, and adding a spoonful of hot salsa verde before slurping them back raw. It was the first time I remember eating raw seafood and, more importantly, the first time I felt the electric adrenaline jolt I get when I eat spicy foods. Years later, I learned how to make a basic boiled salsa verde from the Mexican prep cook at a restaurant where I used to work. It was a good sauce; brightly acidic with a nice, clean flavor. But that salsa's got nothing on the smoky complexity of a charred salsa verde. I honestly can't remember where I first picked up on the charred stuff, but I do know that I used to make it in a cast iron pan, placing tomatillos, onions, and chilies in the dry pan and cooking them on the stovetop until soft and nearly blackened. It was an effective method for flavor development, but it also smoked up the apartment and inevitably created a burnt-on layer of crud in the cast iron pan that was difficult to remove (even in a perfectly seasoned one). These days, I do things the easier way: in the oven or toaster oven. I split a bunch of tomatillos in half (splitting them in half means you don't have to worry about flipping them during cooking—they'll soften up as they char) along with a white onion and a few chilies, place them on a foil-lined rimmed baking sheet, and stick them under a preheated broiler. The key here is to get them really deeply charred. Flecks of black, burnt tomatillo skin are delicious in the finished salsa. As the tomatillos cook down under they broiler, they'll also start to release liquid that will caramelize and turn sticky, like honey. Stick your finger in this and lick it. That's a quick preview of what's coming. Next I blend all the vegetables (with the collected juices in the foil liner), along with a handful of cilantro. On days when I've got a little extra time, I'll finish making the salsa in a granite molcajete, pounding the vegetables into a pulpy puree. If you're making a salsa (or guacamole) that has raw vegetables, using a molcajete makes a huge difference in flavor in the finished dish, delivering more intensity and even distribution of flavors. For cooked vegetables, I haven't noticed as much of a difference. 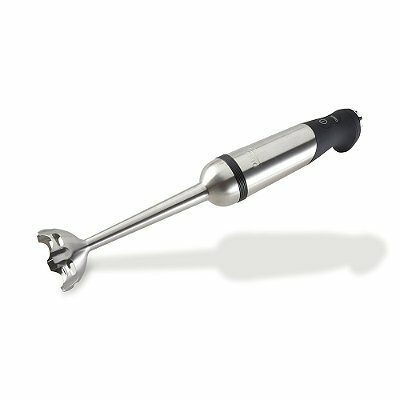 If you've got a hand blender, now's the time to break it out (a regular food processor or blender will also work). Once the salsa is blended to just the texture you like it, give it a taste. Tomatillos are naturally bright and acidic so you probably don't need an external acid source like lime or vinegar. Because they're also high in pectin, your salsa should have a nice chip-coating texture, not thin or watery. But just wait—it gets better. In his classic Authentic Mexican, Rick Bayless has a recipe for salsa verde in which boiled-then-pureed tomatillos, onions, and chilies are poured into a smoking hot pan in order to give them some of those complex flavors you only develop through high-heat cooking. I wondered what would happen if I combined the charring technique with the smoking hot pan technique. I heated some oil in a medium saucepan and once it was shimmering hot, I poured in my salsa all at once. This is important. Pour your salsa slowly (as you may be inclined to do out of fear of the hot oil), and you wind up with oil splatters all over your stovetop and most likely your arms as well. Pour the salsa fast and the oil splatter is contained underneath it. Once the salsa was in, I immediately started stirring with a wooden spoon to prevent it from bubbling and spattering too hard. After a few minutes of cooking like this, the salsa had become even more intense in flavor. Score. Once cooked down, all it needs is some salt to season it (if your tomatillos are exceptionally tart, just a smidgen of sugar, honey, or agave syrup wouldn't hurt either) along with some more fresh chopped cilantro. The salsa will last for about a week in the fridge. Actually, that's a lie. There's no way it's going to survive a whole week without being eaten. I like to eat it with fried eggs in the morning, or to dip a quesadilla into in the afternoon. It's fabulous on enchiladas, burritos, and tacos. And of course, it goes great on raw clams (back porches, Cape Cod, and dads optional).